Many homes are filled with furry animals that will greet us at the door, and comfort us when we are upset. Some homes even have animals that are considered “not the norm” and unusual. 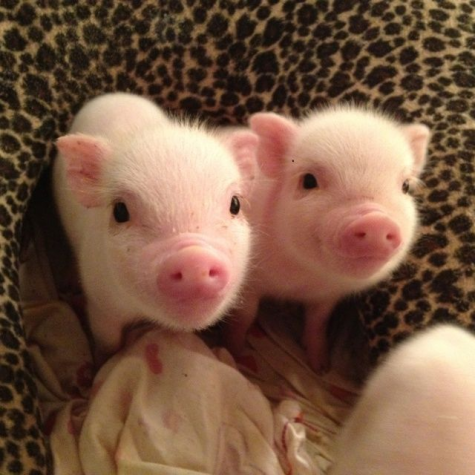 Have you ever been in a home where a snake, bird, fox, monkey, or even a pig lives? Some families may consider these animals to be their pets (not just wildlife). When living with these so-called “unusual pets”, there are many requirements in order for these animals to survive. The only question is, are you capable of owning one of these unusual pets? When owning a unique animal, there are strict rules you should follow. For example, ferrets are recommended to have a cage with a solid floor due to ventilation issues. Along with that, the cage must be kept between 60-80 degrees Fahrenheit in order to make the ferret comfortable. Aspen shavings are used as bedding for the ferret. In their diet, ferrets need to have a lot of fat and protein intake. They should not be fed dairy products, fruits, vegetables, or foods high in fiber, carbs, or sugar. Also, provide room temperature water for drinking. Ferrets require a lot of grooming since they shed often, and their cage should be cleaned weekly. Ferrets require combing of their fur, nail clips, teeth brushing, and weekly baths. All of these measures are recommended in order to tame the natural musky smell of the ferret. Ferrets require time and effort in order to keep them healthy at all times. 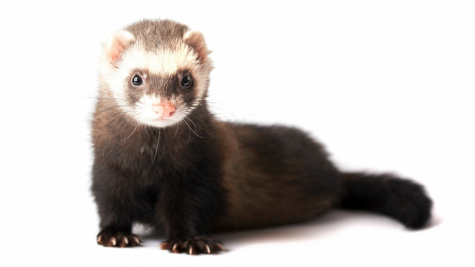 A ferret is only one of the many unusual pets a person can own. Not only do ferrets require a lot of time and effort, but another unusual pet that requires effort is a snake. You must be able to fit a 20-gallon terrarium in your home to hold this animal. Only have one snake per cage since snakes tend to fight with each other. Aspen chips are a good form of bedding for the habitat since it is soft against their skin. Snakes need at least 10-12 hours of UVA/UVB light in order to mimic the sun’s rays. Another important thing to take note of in owning this pet is, there must be constant moisture in the air. This is so the snake can shed correctly without any issues. Snakes love hiding and laying under objects, so it is recommended to have multiple rocks/buildings for them to take shelter under. For their food, snakes will eat live and dead animals. The most recommended food for snakes are baby rats since snakes will digest rats in around 24 hours. It is only required to feed the snake around once a week. Both ferrets and snakes are considered unusual pets and they require an extensive amount of work. Miranda Hoch, a student from Pennridge High School, owns a lot of unique pets in her home. She said, “I’ve had snakes, lizards, legless lizards, chameleons, scorpions, tarantulas, frogs, and turtles. Now, I only have one snake.” Miranda continued to say, “I have had a total of 32 unusual pets, not including my dogs.” Most of these animals are uncommon and people do not normally own these animals as pets. However, these animals are nothing but normal to her and she knows a great deal about them due to her father. Miranda said, “My dad had a business where he would go out to birthday parties, and he would run an educational reptile show.” Her father’s business sparked Miranda’s interested in reptiles. Her mom may not like these reptiles crawling around in her home, but Miranda considers these pets as her family. Amber Kane, a senior at Pennridge High School, owns a pig named Peppa. Amber stated, “She lives in my shed. Peppa has air conditioning, heating, and a sofa for herself.” Amber treats her pig like she is a family member. Peppa takes a lot of work to maintain, but Amber knows it is all worth it in the end. Amber continued to say, “She was an impulse buy, but she was a great buy.” Amber also lives with a pet ferret, who she loves endlessly as well. Amber will continue to take extensive care of her pets and love them, even if they are not the normal pet. Unusual pets require specific care, but they make great pets. When considering a pet to add to your family, don’t overlook some of the “stranger” animals. As Amber would say, “Unusual pets are better pets.” Consider all of your options when deciding what pet you want and don’t be afraid of the unusual animals!